Today Berryz Koubou’s 36th and final single ‘Romance wo Katatte / Towa no Uta‘ went on sale! It got #2 on today’s daily single chart by selling 61,676 copies. This means they have broken their previous highest selling single record by about 20k copies in one day! I really think this is an amazing achievement, and I’m really happy they have made something like this happen for their last single. Even so, this was only the first day so it can only improve from here! They also announced their final compilation album ‘Kanjuku Berryz Koubou The Final Completion Box‘ which will be released on January 21st in 2015 in three different editions. Well, on to the review now! Well, first up is ‘Romance wo Katatte‘! 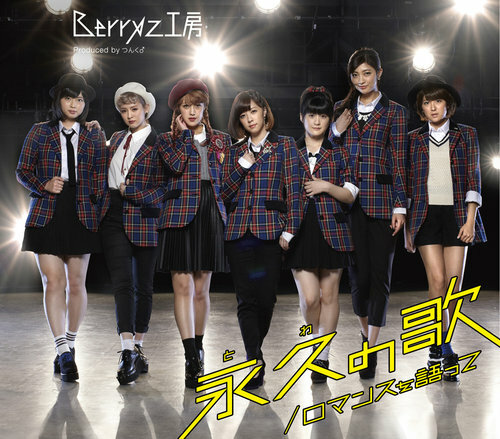 The song is very cutesy, something unusual for Berryz… But they do it very well! Every member has solo lines in this song, but Miyabi and Risako take the lead as usual. Everyone sounds great, and I love how sweet and dreamy the song sounds! There’s also a bit christmas-y feel, probably with the ‘white romance’ lines and the overall sound. The costumes look quite pretty, although I wish they would have gone with white accessories instead of black, I think that would have been a lot prettier. I think all the members look great, especially Risako and Maasa look really cute I think. They all look really natural and it matches the feel of the song very well I think. The MV is okay I think. My favorite parts are the close-ups, I think the members all look lovely, and I like the pretty backgrounds with the stars. I also like the parts where there’s multiple members on-screen, something unusual! The black and white parts (at the beginning and in the middle) felt a bit out of place and didn’t really add anything I think. As for the main setting, I love the idea with the stars and the kaleidoscope background, but the on-screen cameras and the white/grey background ruin it a little. I think the MV would have been perfect without that! Then ‘Towa no Uta’! The song reminds me of Buono!, which is a very good thing! I hope Buono! 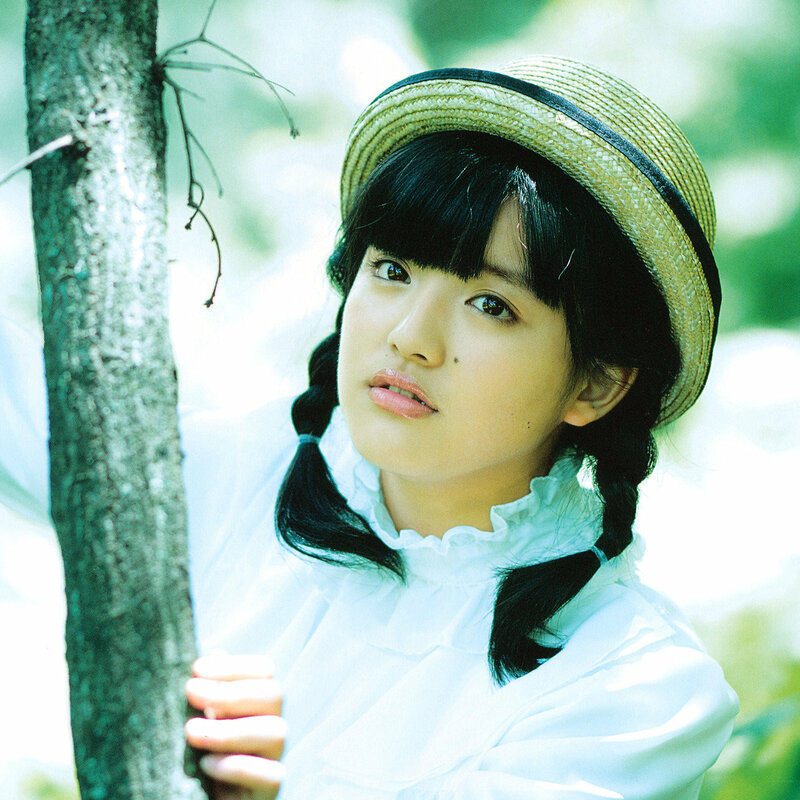 will make a small return before Berryz disband, but we’ll see about that then. Again, all members have solo lines, but Miyabi and Risako are in the lead once again! Like I said, the song has a bit of a Buono! sounds and I love Buono! songs… It’s very energetic and I think this one will be great for concerts, especially for something like the last song on the setlist or maybe an encore. I absolutely love the costumes and styling! Everyone looks really pretty and the costumes fit them perfectly… Miyabi looks adorable in braids and a beret, Maasa looks super cute with her hat, Momoko looking cute in a high ponytail… Something we haven’t seen in a long time I think. They all look great and look so very confident in the MV! As for the MV, the setting isn’t very interesting, just the usual spotlight background, but it makes the girls stand out which work really well in this case. The dance shot and close-ups are very cute and energetic matching the song. Quite nice are the shots of I’m guessing their debut concert? It’s a bit emotional, but also really nice to see how far they have come and how they’ve grown. This is really their final song. Overall, I really love this release and I’m glad their final single is this good! It’s still kind of hard to believe, but it is really their final single. I hope they’ll continue to sell really well this week and reach a daily or maybe even a weekly #1.